The city of Denver is hosting a first-of-its-kind clinic Saturday morning to help people with old drug convictions to have their records expunged. DENVER -- The city of Denver is hosting a first-of-its-kind clinic Saturday morning to help people with old drug convictions to have their records expunged. The clinic is part of Mayor Michael Hancock’s Turn Over a New Leaf initiative. Its goal is to help people who were convicted of a drug crime that would have been considered legal under current law. “What we’re looking for really is reparative justice particularly in our communities of color,” said city attorney Kristin Bronson. Lawyers will meet with people who would like to see if they qualify to have their record expunged and review their case for free. Bronson says the Marijuana Industry Group has agreed to pick up the tab for people who want to file a motion with a court. 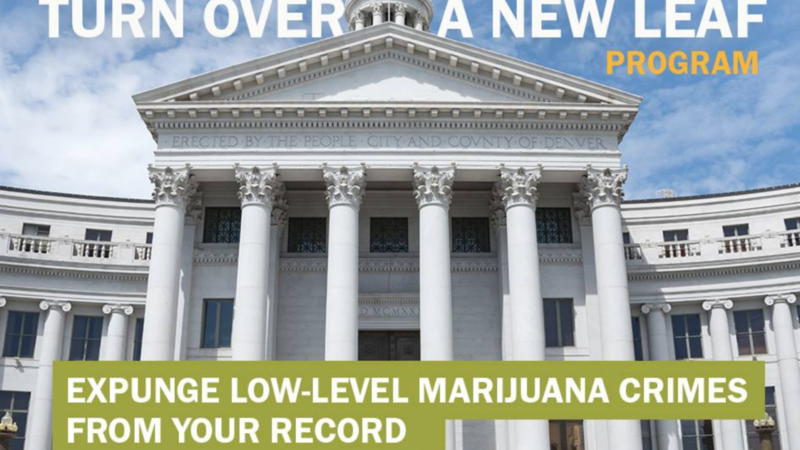 “People were having difficulty getting housing or getting jobs or possibly being evicted because they had this criminal conviction even for very low-level marijuana related crimes. Obviously, that conduct today in Colorado is actually legal, so our program is designed to ensure that they aren’t continuing to feel the consequences of those convictions,” Bronson said. Along with city attorneys, legal experts from the district attorney’s office, immigration attorneys and pro-bono defense attorneys will also be available at the clinic. Immigration attorneys will be able to help undocumented immigrants determine what the impacts of sealing these records would mean for their immigration proceedings. The city believes there are at least 10,000 convictions that might qualify for the program. Bronson says the city has worked for months to try to streamline the process so that it is easy for people to understand and doesn’t require them to have a lawyer. “There’s, I think, a stigma associated with these low-level marijuana convictions and it doesn’t help the city in trying to grow and to promote our communities of color and some of our underprivileged communities and to be more economically vibrant to have the lower level convictions, so from our perspective it’s a win-win,” Bronson said. Saturday’s clinic is one of four that are happening in coming weeks. It’s happening from 9 a.m. -1 p.m. at the Denver Conflict Center at 4140 Tejon Street. The other clinics are set for Feb. 24, March 6 and March 21 at different areas around the city. People looking to have their record expunged can also fill out the application online.